Is Advertising in WordPress important? Advertising is just as relevant in WordPress as it was back in the day of David Ogilvy, the founder of modern advertising. We can accomplish a lot — together. At Post Status’ Publish event this past December, I was talking to a web agency owner. He had a successful business, running large enterprise web projects. We talked a bit about advertising. He didn’t know who David Ogilvy was. As the father of advertising and a requisite study for most agency owners to operate successfully, I was surprised. Then again, I have often heard from many in our space that building a business without advertising is something to take pride in. I don’t understand this notion. It seems that a lack of advertising efficacy runs deep in the veins of our community. For me, and I’m sure much of the great business community, this is a blatant signal that us WordPress folks are much more “business beginner” than many of us internally conclude. Thankfully, that’s changing. The culminating event of WordCamp US is Matt Mullenweg’s State of the Word — I’m happy that my team and I were there to listen live. Thinking about the conversation I had a few days prior, sitting in those little chairs — at a packed house — advertising became relevant in WordPress. When Matt Mullenweg announced the start of the WP Growth Council at the State of the Word, I remember feeling the same energy from my childhood when I learned how to hit a real Hockey slapshot! Safe to say, I was stoked. I’m proud of Matt for making this statement and taking the steps necessary to succeed in line with reality of our business and volunteer ecosystem. In 2008, WordPress got away with not advertising. In 2017 and beyond, we will not. 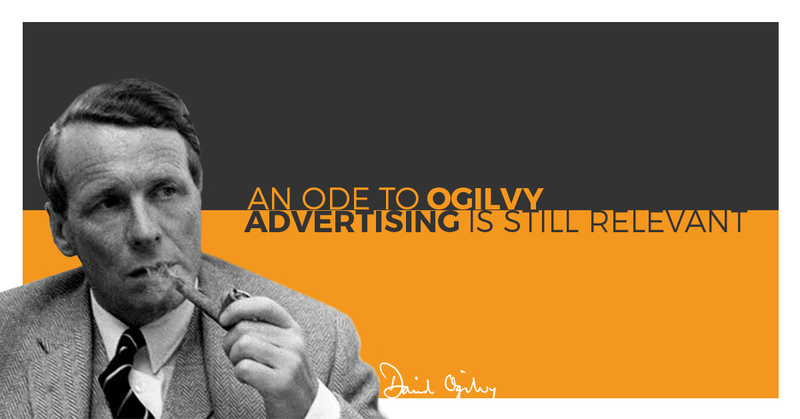 First things, first: get to know David Ogilvy. He is the father of modern advertising. Ogilvy, arguably is the reason we have California wine, Colgate toothpaste, and marketing rigor. His book, Confessions of an Advertising Man written in 1963, is required reading. As Ogilvy will teach you, competitors are lurking, trying to infiltrate, distract, and take market share. And they can lurk more easily with advertising budgets and become relevant and market-aware overnight. Did anyone (other than the parents of the creators themselves) known anything about Wix globally, prior to this ad in February, 2016? Likely, no. Today, they are so prominent, that many of us obsess with their model, growing user base, and technology. Back in 2016, our friends at AdWeek had something to say about an unscalable, un-versioned, no-developer network platform used for small businesses. And guess who was getting talked about? And in 2017, Squarespace struck ad gold. Have you seen their John Malkovich ad talk right against our friends at Woo? I was so stirred by emotions in this ad because it represents many of our hopes and dreams. Even more, I was emotionally distraught as proprietary platform like Squarespace own our communities actual space. Like it or not, they are winning the ad game. And the long form ad is what wins awards. It also takes market-share from WordPress based businesses. On that sunny, Saturday afternoon in December, WordPress woke up and met Ogilvy. Now it’s time to run. First, Automattic must lead the way. The leadership has taken the first step with the WP Growth Council. They also need to ante up $750,000. Next, the top website hosts need to step up and each put in $100,000. Then, every WordCamp attendee (in the US) for the foreseeable future, should have $2 of their ticket to go to the WordPress Global Brand Fund. We are all in this together. Automattic will be represented in the advisory council as lead. However, advertising will be governed by the fund participants. Every WordPress Plugin and Theme Shop provides 0.5 percent of their gross operating income into the ad fund. When the community steps up, they are rewarded. All participants vote in the ad council and are given free WordCamp tickets (up to 10) for the year. They also receive recognition on the WordPress.org website for supporting the Brand. None of this violates our values. To succeed and compete, we all need to start agreeing more with Mr. Ogilvy. Here’s the math on building a fund of $14,330,000/yr to advertise WordPress.org and all the glory and hope we deliver on. As our business and volunteer ecosystem comes together, let’s remember why we are all here: to democratize publishing, bringing open and easy to access publishing tools for the web — for everyone. As of today, WordImpress is in and is ready to give 0.05% to a global ad fund. Who’s coming with us? It’s a half of penny, CEOs!